Combines 2 Favorite Activities Into 1 Fun Game! Double the fun - It's cards and Bingo! Match the image on a playing card to one on a bingo card. Then use the card itself as the bingo marker! The first to get 3 in a line wins. 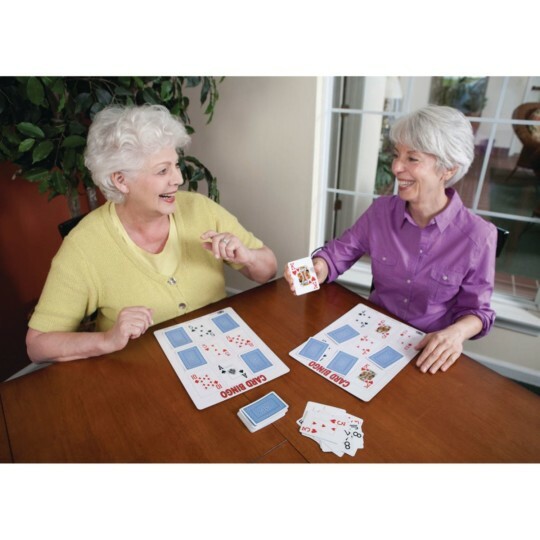 Combines two favorite activities – cards and bingo – into one fun, easy-to-play game! 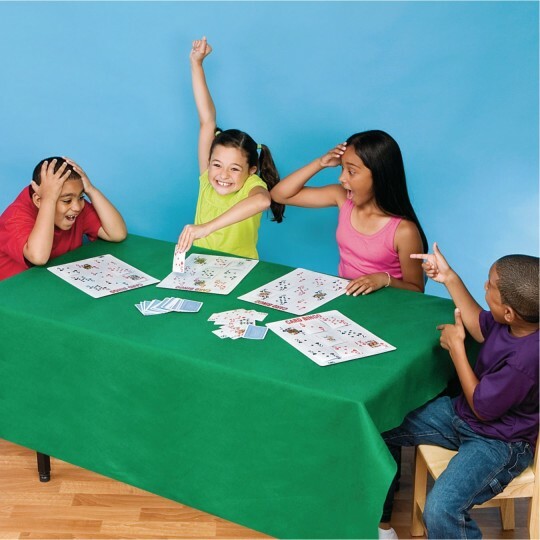 Just flip over a playing card, match the image to one of the bingo cards and use the card itself as the bingo marker! The first to get 3 in a line wins. 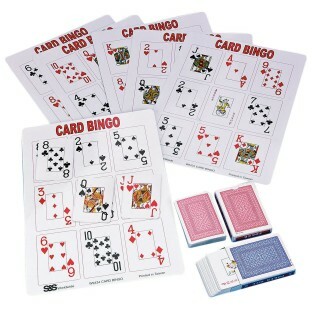 Includes 2 decks of playing cards, 6 spill-resistant 9-1/2" x 13" bingo cards, rules and a storage box. For 1 to 6 players. All you Bingo games need top come with more cards! This is a great game for the end-of-the-day when you only have a few children left in the program. One adult can manage several children playing the game and the other adults may begin clean-up. The game stimulates children to think about color shapes and numbers.